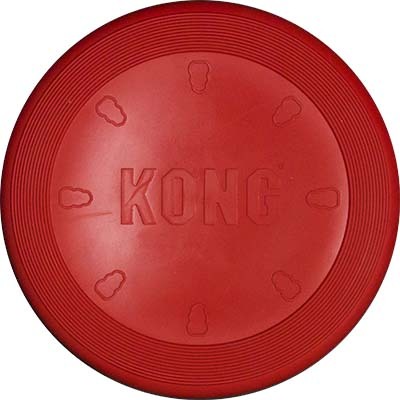 The Kong Flyer is a flexible flying disc made with durable KONG natural rubber. 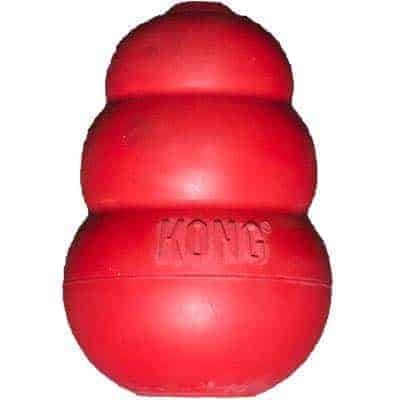 Although the Kong Flyer is a bit heavy for mid-air catches it’s a great retrieval toy and it’s made in the USA. IMPORTANT: Intended for outdoor use only. 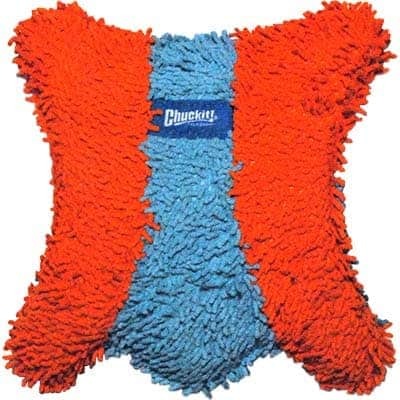 Use in an open area free of obstacles that could pose a danger to your dog. Replace KONG Flyer if damaged. KONG Flyer is not intended to be used as a chew toy.